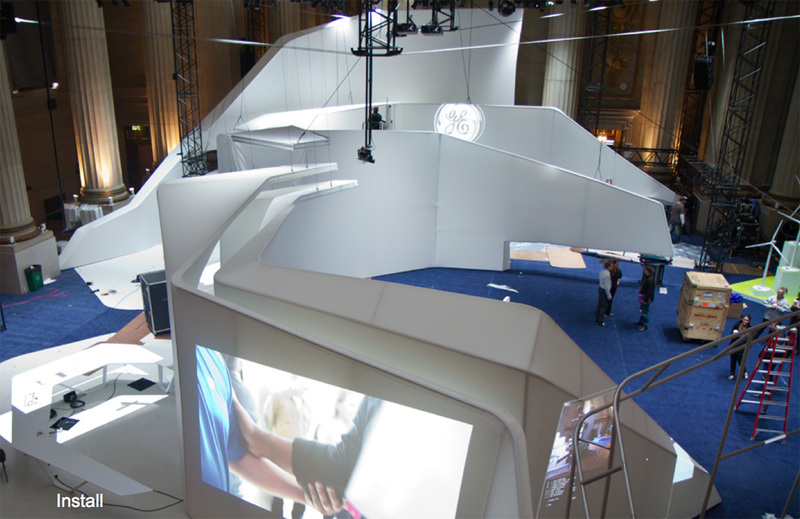 I presented a case study about our design and development work for the GE Works conference on behalf of Unified Field at the 2013 SEGD National Conference. The conference was titled “Above the Fog” and located at the Fairmont Hotel in San Francisco June 6-8 2013. The photo above was courtesy of the SEGD twitter feed during my presentation. Another shot of a crowd at the conference. 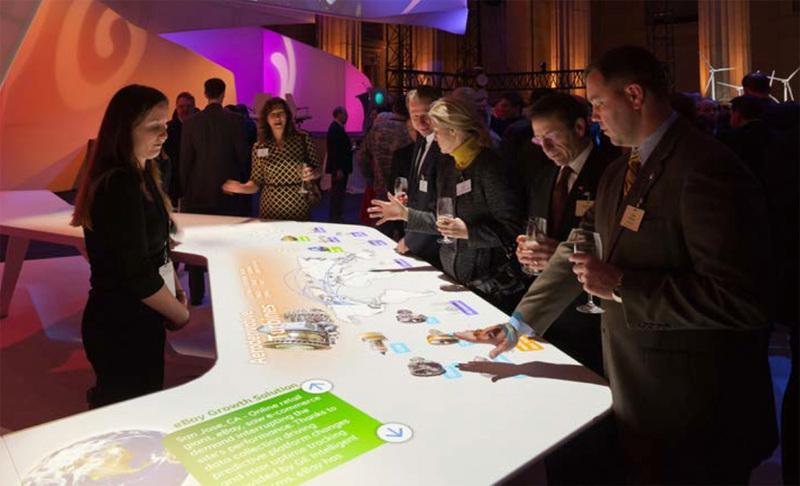 These are some shots from the presentation I delivered about the GE project. 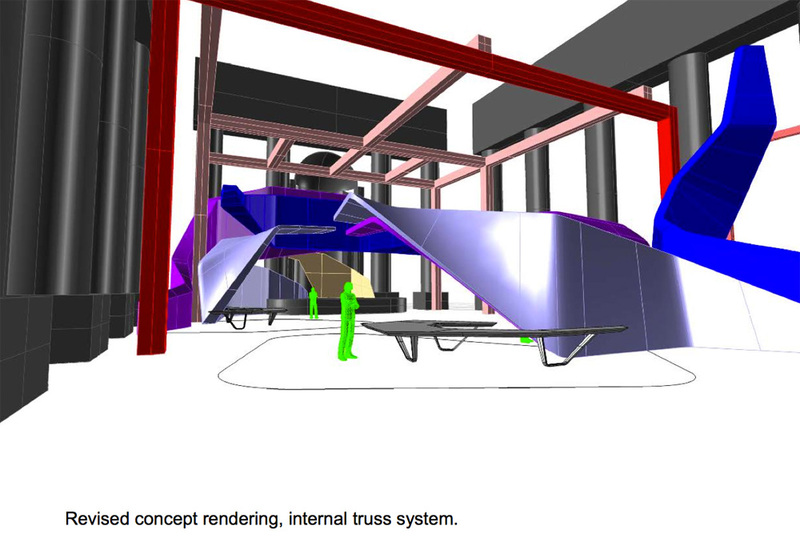 An early 3D rendering of the space from Thinc Design who we worked with on the project. They designed the space, and Unified Field designed and developed the media elements within. 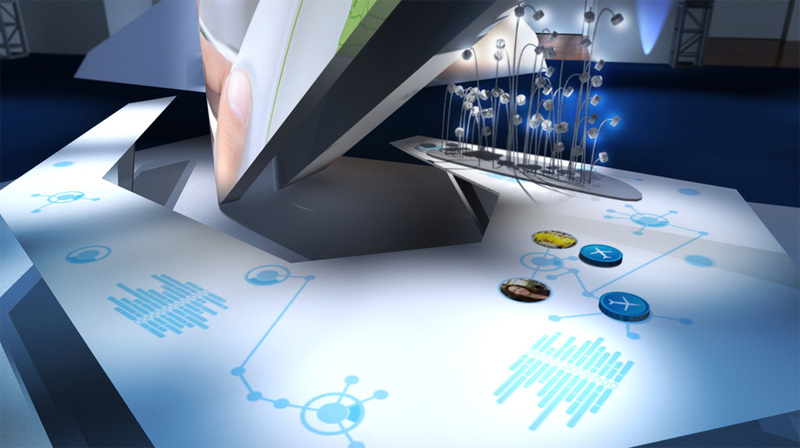 Concept design shot of one of the multitouch gesture tables. 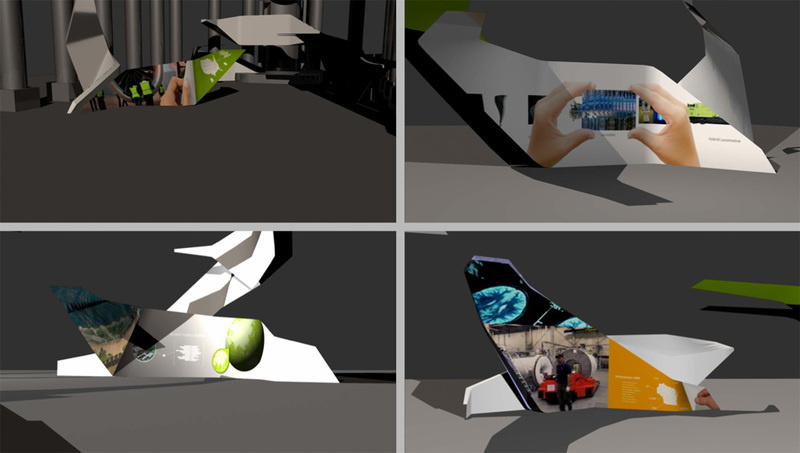 Layout studies of the projected media walls. 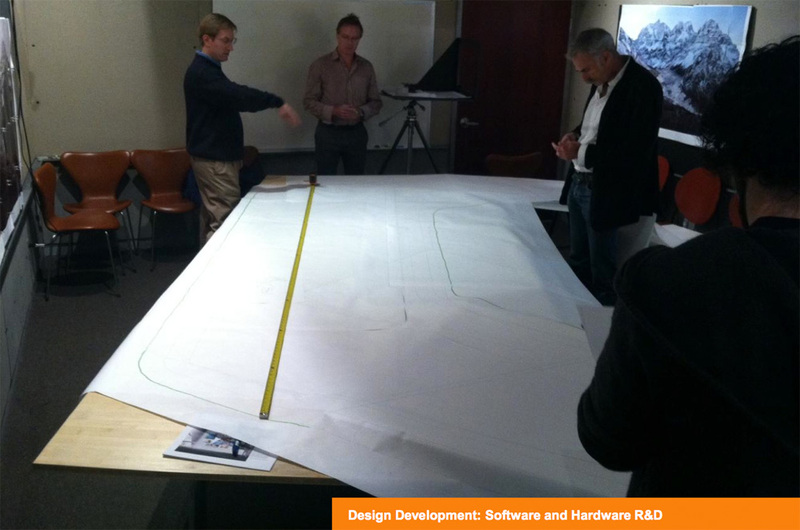 Judging projector and gesture tracking distances with a full-scale printout of a table. The same table from one of the nights of the conference. Assembling the spacial elements in the space before the conference. 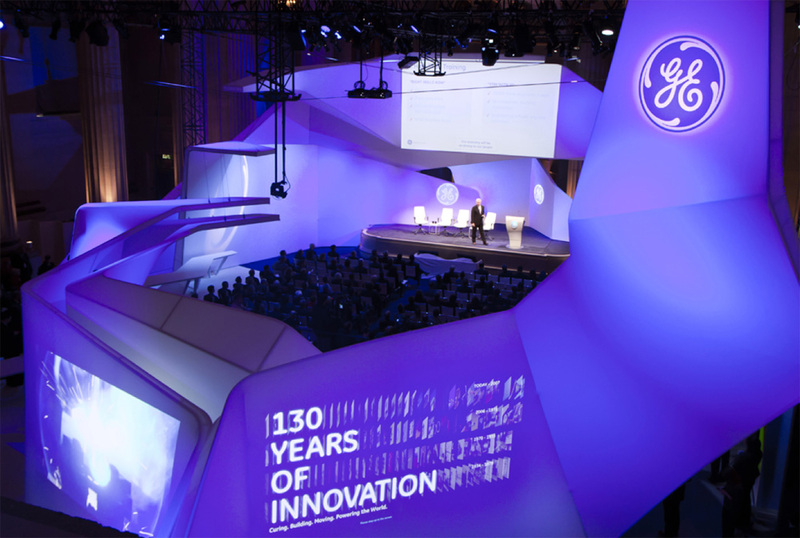 A shot during the keynote speech by the CEO of GE.